Infinity Woven Products’ recent “poker run” at IBEX was a successful example of using “gamification” at a marine trade show. The concept was simple: The manufacturer of woven vinyl flooring would distribute hands of Texas Hold ‘Em at five stops in the show. 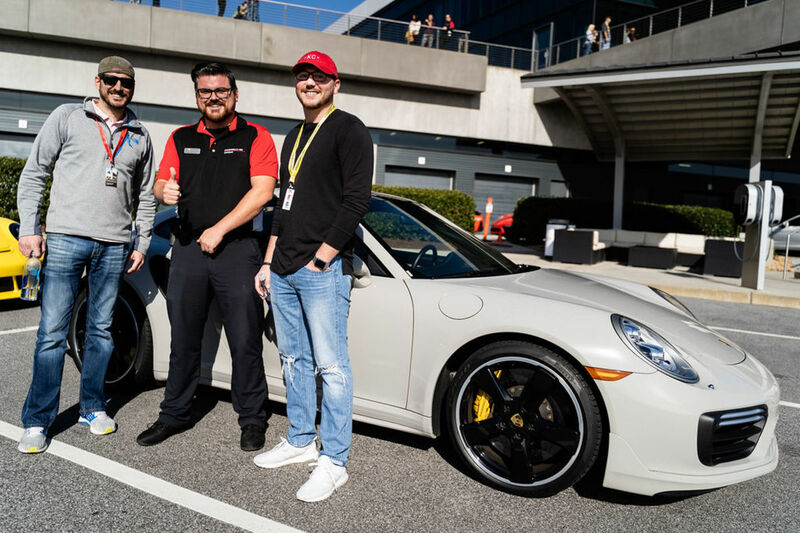 The winning hand would be flown to Atlanta to participate in the Porsche Experience, where participants get to drive new-model Porsches around a track with a Porsche Drive Coach at their side. Infinity’s goal: To convince specific clients to see the company’s new products in a new, compelling way that involved a game of chance and potential payoff. A number of boatbuilder clients had already complained about “floor fatigue” and having to see too many new products from Infinity and its competitors. McCrickard wanted to find a way to make seeing its products engaging and even potentially rewarding. “Our OEM customers were honest that they were getting burnt out looking at all the design possibilities with floorings,” he said. 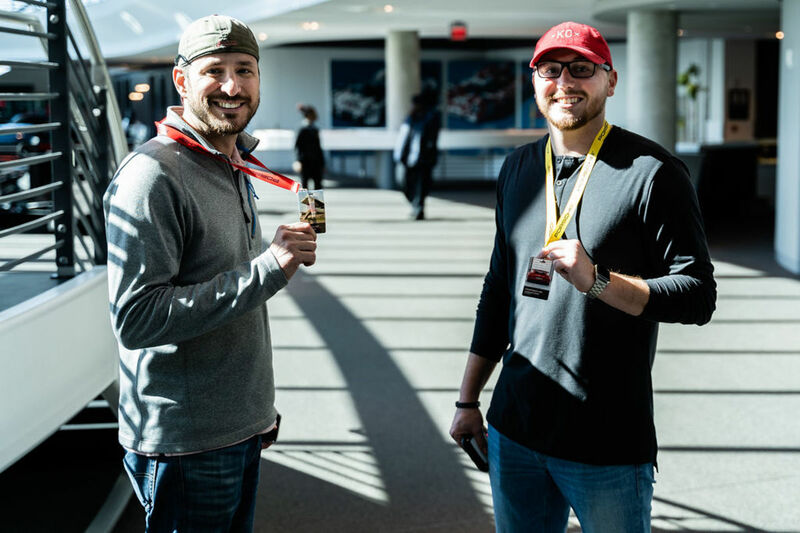 Kelby Phelps (left) enjoyed the Porsche Experience. McCrickard approached IBEX organizers with the idea of a poker run. They weren’t aware of any other company that had tried this type of gamification at the show, so they encouraged Infinity to proceed. The initial signup only attracted 10 people, but McCrickard realized that he could target another 40 existing or prospective clients coming to the booth with the poker run game. “We had one card at hotels where pre-registered guests were staying, one at our booth and one at each boat on the water — five in total for a complete hand,” said McCrickard. “For those who were not pre-registered, we had two cards in the booth, pre-selected at random.” The clients started at the booth and then went out to the three boats to get the other cards, at the same time seeing the new products on the boats. Infinity had a rep on each boat to explain the new products. There had been some initial concern that the boatbuilders, Lowe, Scarab and Misty Harbor, might not want competitors on their new models, but McCrickard said that was not an issue. All 50 hands, many being held by prime clients, were collected by Wednesday morning, so Infinity had its target audience seeing its products. It held a Facebook Live event on Thursday to announce the winner. Teresa Phelps of G3 Boats won the poker run with a royal flush. 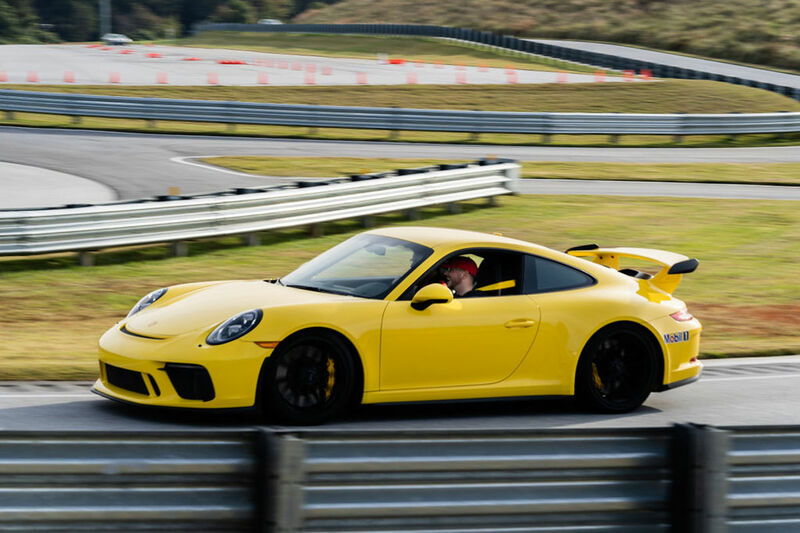 She gifted the Porsche Experience to her son, Kelby. Infinity hired a photographer to document the day.